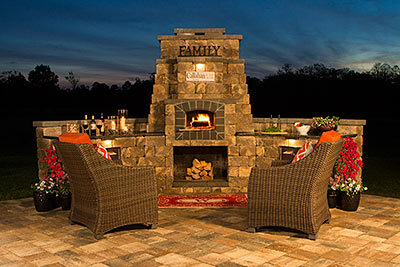 For over two decades Tremron has transformed the southern landscape with unrivaled hardscape products leading us to become the largest privately-owned paver manufacturer in the Southeast. It has been our continued dedication to setting standards in innovative design, performance, selection, and most importantly, service that has been the cornerstone to our success. Founded and headquartered in Jacksonville, Florida in 1992, we have since grown to also include hardscape plants in Miami, Arcadia, Lakeland, Pompano Beach, Atlanta and Bowman, South Carolina. In addition to our seven manufacturing plants, we have five design centers in key markets throughout Florida & Georgia, and our sales team spans the entire Southeast with territories in Alabama, Georgia, Florida, the Carolina's, and Tennessee. 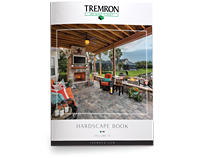 Tremron is the leading independently owned supplier and manufacturer of products to the hardscape industry in the Southeast. We design, engineer, and manufacture a wide range of our own products which include concrete pavers, remodel pavers, retaining walls, fire pits, clay brick pavers and permeable pavers. Our vast array of hardscape products are suitable for use in residential, commercial, institutional, retail, and government applications. Locate your local Tremron sales rep using our map of territories in the Southeastern states. At Tremron we are always looking ahead to grow and better ourselves as a company. Our vision for the future of our company is a multifaceted approach that will stand to strengthen us on many levels. First and foremost we realize the importance of the people, from our own employees to the end user of our products. We strive to create a safe and happy work environment for our employees, which will in turn boost inspiration, imagination and productivity, creating a higher quality of product for the consumer. We also care about creating lasting relationships by exceeding customer expectations with outstanding products and service, leading our customers to be more successful with us rather than with our competitors. Growing the brand is also a top priority for us. We are continuously working to find the latest innovations and technologies that will put us in a leading position within the marketplace. Sourcing new materials, and techniques will allow us to be a highly efficient, lean and fast-moving organization. In addition, we are constantly looking at the market, and as demand grows for our product we look for expansion opportunities to better meet those demands, by adding more distribution and sales centers to our portfolio.